BIG UPDATE. 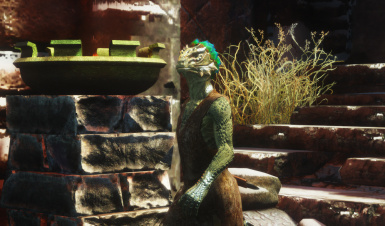 An overhaul of every Argonian NPC in vanilla Skyrim, featuring glorious plumage! 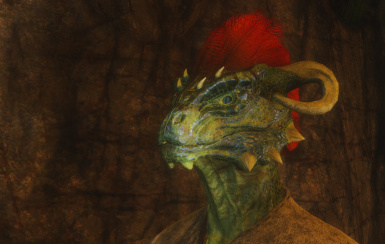 Now completely standalone - full Argonian Feather Hair mod is included! Use of these assets is not mine to permit. Standalone mod made with permission! 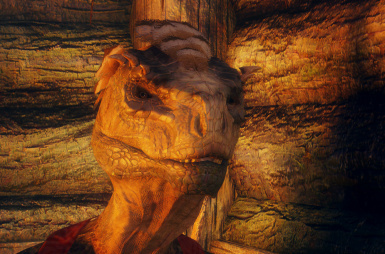 Hott on the heels of Hott Vampires comes a makeover of another of Skyrim's underserved minority groups, the Argonians! Now featuring glorious plumage! 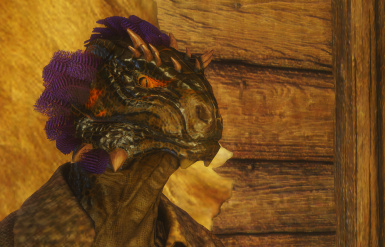 When I spied KrittaKitty's Argonian feather hair mod, I was immediately blown away. Buuuut at the same time, still not particularly inclined to PLAY as an Argonian. 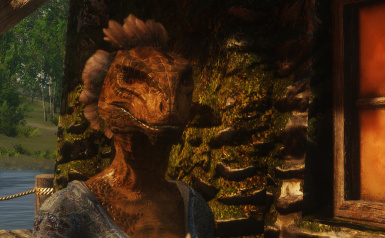 I feel like this is going to be all too common a sentiment, so I'm giving ALL of us a chance to enjoy that fabulous mod in a different context, by putting glorious Feather Hair on every Argonian NPC in Skyrim. Not counting DLC and mods and stuff. 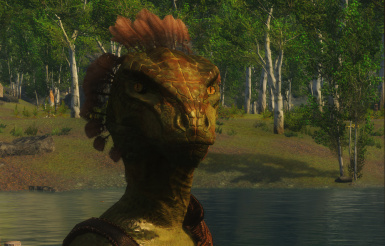 WITH KRITTAKITTY'S PERMISSION, THIS MOD NOW INCLUDES THE FULL ARGONIAN FEATHER HAIR MOD! THIS IS NOW COMPLETELY STANDALONE WITH NO REQUIRED FILES! The feather hairstyles are distributed among vanilla NPC's AND available to players, all in one! 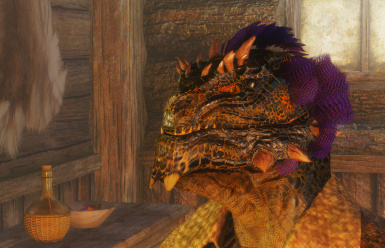 Part of what's cool about Argonian Feather Hair is the concept that male Argonians have very bright, showy colors while females' feathers are more muted earth tones. Very true to nature, don't you think? I took that concept and ran with it! You will notice the guys showboatin' and flexin' their hott styles all up and down the province, while the ladies keep it pretty chil. 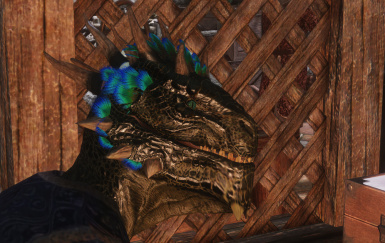 But trust that they all have some pretty nice feathers, with gorgeous fine details and colorful patterns not found in vanilla Argonian styles. In short, they're lookin' hott! Very few edits were made to the NPC's aside from adding the feathers. Occasionally I would replace their default outfit with a hatless version so as not to cover up their coifs, or make adjustments to skin tone to better suit their style. If the NPC originally had horns, I chose a feather hairstyle with similar horns, so that familar NPC's will still look familiar! You're welcome!